sun bathing at high noon is not recommended. 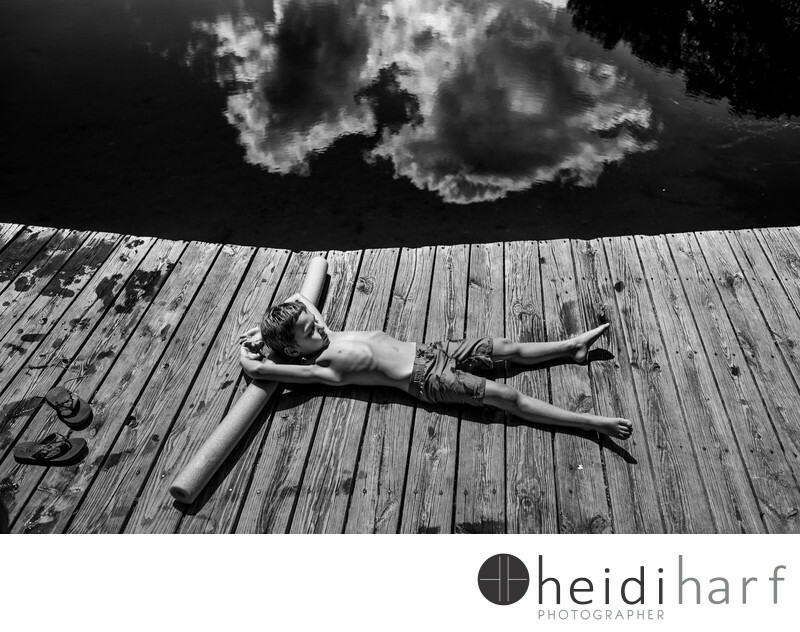 However, I do love this image of this young boy relaxing on the dock after a swim in the pond. The picture was taken during a family portrait session in Sag Harbor new york. I alos love the reflection of the sky. The high contrast of the image, adds to the edgy feel that one gets. At first glance it appears as if the image has no depth of field, Only after looking at it, does the viewer realize that it is the reflection of the sky. Keywords: beach photos (6), hamptons family portraits (42), sun bathing (3).